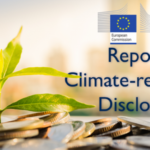 European investors have called on EU leaders and legislators to implement a fit-for-purpose framework of corporate reporting that delivers better climate change and environmental information to financial markets. Noting that while the European Commission’s Action Plan ‘Financing Sustainable Growth’ represents progress in supporting sustainable investment, the statement says that the information available under current EU regulation does not deliver capital flows at the scale needed to deliver a low carbon, climate-resilient and resource-efficient economy. 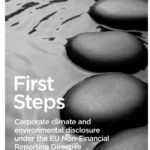 Launched today and open for further investor signatories, the statement follows the unveiling of a new 2050 climate neutrality plan for the EU and comes as the European Commission today hosts a conference on the future of corporate reporting as part of its fitness check.